Every woman dreams of being Cinderella and walking down the aisle to her Prince Charming. 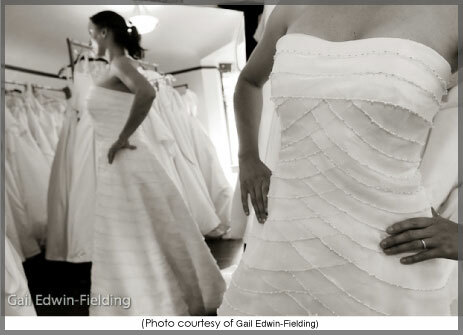 We look forward to the transformation from usual to spectacular in our wedding dress! We seek the “ooooh factor” when our guests and partner first see us in all our glory. The perfect wedding dress may be acquired in many different ways: handed down from a beloved relative; at a high-end boutique; through wedding magazines or trade shows; on eBay or at a terrific place like The Brides Project. Jill Hicks, Yankee Lady Cruises General Manager and wedding specialist, has been dealing with Helen Sweet the owner of “The Brides Project” for several years. Helen is one of Jill’s favourite officiants. Jill and Helen guarantee a stress free ceremony for their brides and grooms. Choosing a gown at The Brides Project not only will save you money and hassle, you will be helping out some worthy causes. So when out shopping for that perfect dress, consider all the ways you can find what you seek with your budget and style in mind.